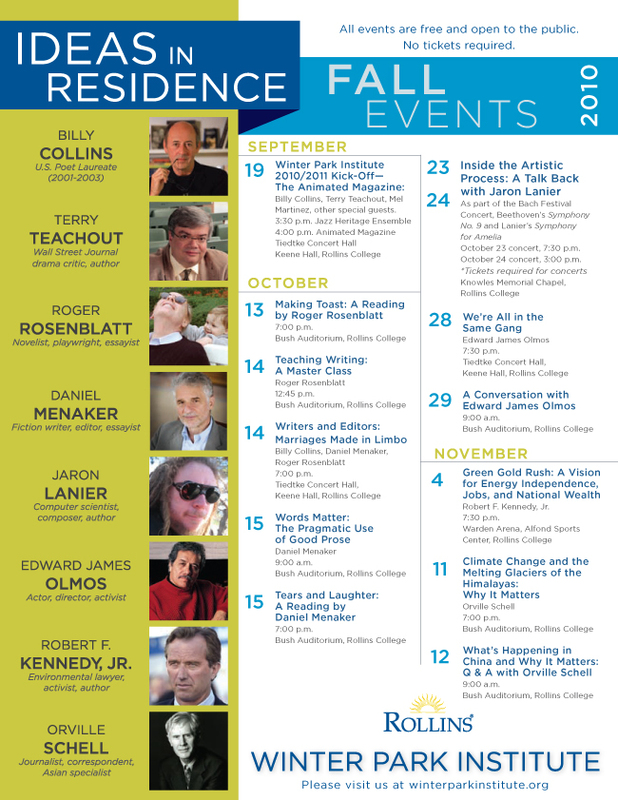 Lots going on at the Winter Park Institute beginning Sunday, when former U.S. poet laureate Billy Collins, Wall Street Journal theater critic Terry Teachout, former U.S. senator Mel Martinez and others will gather to re-create the Animated Magazine, a feature at Rollins from years long gone by. In the days of Rollins College president Hamilton Holt, contributors read from their writings in front of an audience; the format began in 1927 and ran, in various guides, through the 1960s. Now the Institute is reviving the tradition as part of its mission to engage Rollins and the surrounding community.